The #662 regular meeting of Yokohama Toastmasters Club was held at the Yokohama City Port Opening Memorial Hall on March 3, 2018. 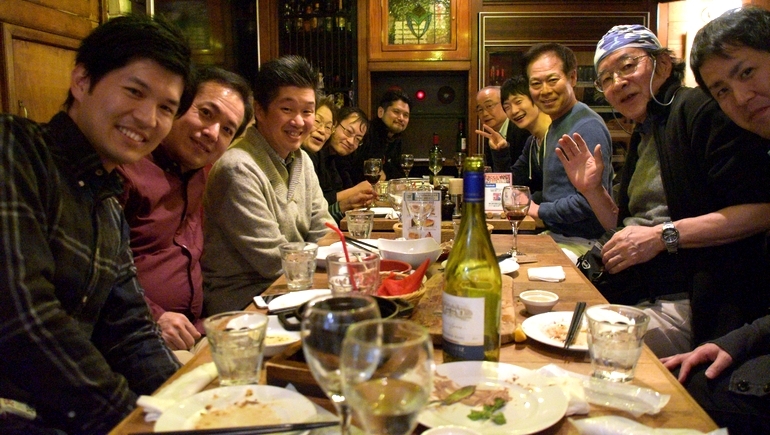 The theme of the meeting was “Graduation”, and each member talked about the memory related to it. In this meeting, a new member joined our club and the induction ceremony was conducted. I hope he will enjoy learning public speaking and English with us together. Adding to the induction ceremony, we had a special workshop of “Pathways” (the new education program of Toastmasters International soon to be launched) which was facilitated by TM Y., one of the Pathways ambassadors and charter members of our club. 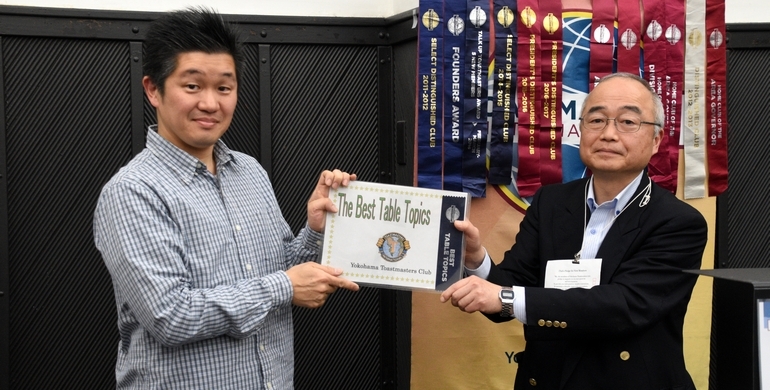 In the subsequent Table Topic Session, the session master TM S asked the questions about spring sports and TM O won the Best Table Topic Speaker Award. Since we had a special workshop, we only had two prepared speakers in the subsequent Prepared Speech Session, in which each speaker worked on the different advanced manual, TM I on the Speaking to Inform and TM S on the Humorously Speaking. Due to the small number of participants, we didn’t vote for the best speaker in this session. Thanks to the kind support from members, I was able to accomplish my TMOD role successfully. Thank you, everyone, for your cooperation! Lastly, following is the list of members’ comments on the meeting theme “Graduation”. Enjoy! My recent image of graduation is a prom in North America since I watch a lot of American TV drama. I wish we had something like a prom party in Japan, too. Graduation reminds me of my bitter experience in the past. I spent six years to finish university instead of four years due to my idleness. I had to pay back additional university expenses to my parents after graduation. In the US, graduation is considered to be commencement (出発) and I feel the same way about it. For students, it is the starting point of their journey into the real world. Graduations from elementary school, junior-high and high-school are always accompanied with hope (and fear) for the next higher-level school. Graduation (commencement) from college is also accompanied with hope for the real society. When I retired from my company, I thought I had a real graduation for the first time. I believe graduation is not an end, but a starting point from which you commence on trying something new. The more graduation you have, the richer your life would be. My image of graduation is the start of new life, not the end of life. When I look back at my past graduation, I remember I felt high motivation for the coming new life rather than feeling sadness for parting from friends. I joined graduation ceremony with a mixed feeling of sadness and big excitement for new life. The first thing popped into my mind when I heard the word ‘graduation’ was the Hollywood movie “The Graduate” starring Dustin Hoffman. I loved the music of that movie performed by Simon and Garfunkel. 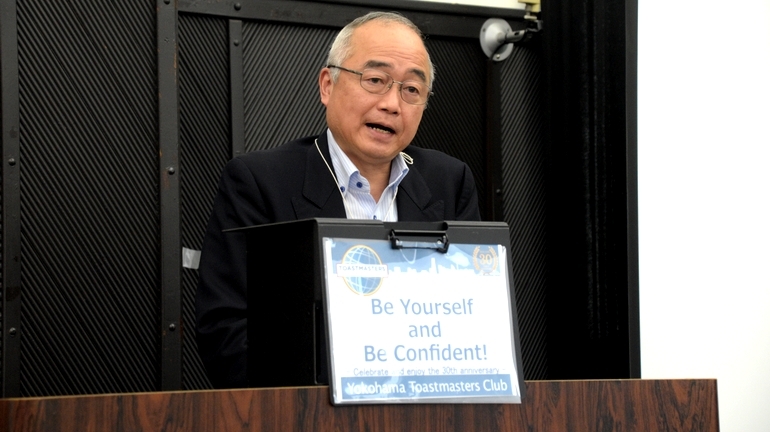 カテゴリー Regular Meeting　タグ Business Presentation, Business Speech, English Conversation, Presentation, ビジネススピーチ, ビジネスプレゼン, ビジネスプレゼンテーション, プレゼン, プレゼンテーション, 英会話, 英語スピーチ.